Your ideal Vermont retreat awaits you at this wonderful center chimney Georgian reproduction in the Champlain Valley. Built in 1988 by a master woodworker, the farmhouse has all the old-home charm with the benefits of newer construction. There are four bedrooms, three and a half baths, and five fireplaces, most notably an enormous center fireplace that is the heart of the home. Hand-planed raised paneling and wainscoting are found throughout the airy and open house, and reflect light from the 30-plus windows. The native 18â to 24â red pine floorboards milled from the property lend to the incredible authenticity. The stunning kitchen was remodeled in 2015 and features custom hand-crafted cabinetry, Vermont marble and soapstone counter tops, a professional Blue Star range, and Big Chill retro-style refrigerator and dishwasher. Behind the house is a large spring-fed pond that attracts wildlife and invites you in for a dip on warm days! 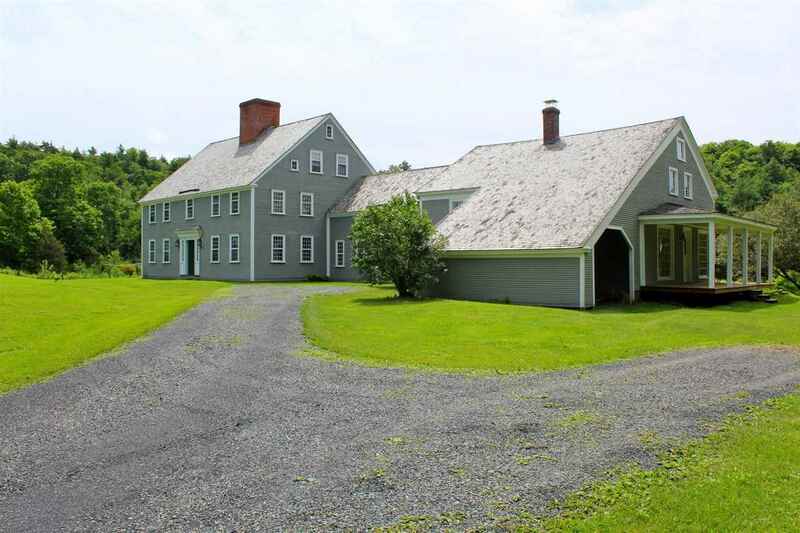 The property encompasses 247 acres, including organic hay fields and grazing pastures, a sugarbush, a pole barn with two stalls, and trails for walking and horseback riding. The large acreage also provides lumber and firewood as well as exceptional privacy, with no neighbors in sight. Minutes from Lake Champlain and just 22 miles from downtown Middlebury, it's the perfect location for year round outdoor activities, shopping, and restaurants.